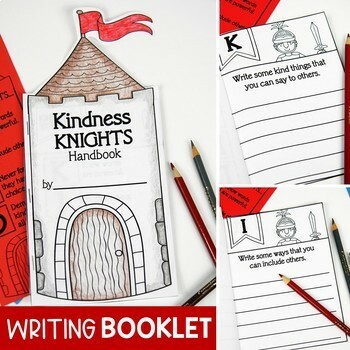 Your students will love these unique kindness activities and community building ceremony for inducting them into the Knighthood of Kindness. This resource is a lot of fun and makes a wonderful addition to your character education lessons. It has been a huge hit with my class. They took it so seriously that it became a yearly classroom tradition and is a pillar of our classroom culture. 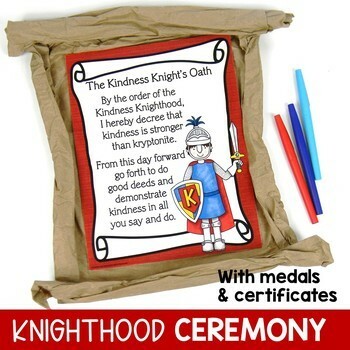 At any time during the year, hold an induction ceremony by “knighting” your students into the Knighthood of Kindness. 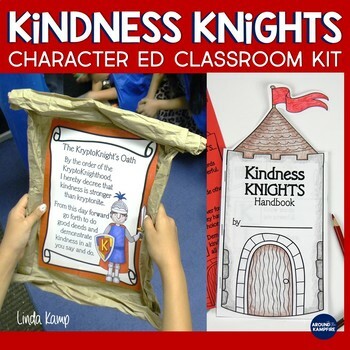 During the ceremony you will read a kindness oath, pass out medals and certificates, and have students make a Kindness Knights handbook to describe ways they can demonstrate each part of the acronym, KIND. 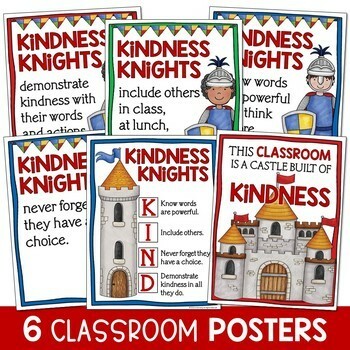 Display the 6 poster set that describes each piece of the acronym and use the RAK random acts of kindness notes throughout the year. Each template is included in both color and blackline with 2 versions of the oath and certificates. I do a Superhero theme in my classroom so I have included both a Knights themed version and my original Superhero themed version. The only difference is a slight text difference in the oath and on the medals. Please see the detailed preview for a closer look at each component. Be sure to click the green star by my picture and follow my store to get an email each time I post a new, time-saving resource. Then check your TPT inbox! I send monthly emails with exclusive freebies just for my store followers. ***Did you know you can save money on TPT resources by leaving feedback? Go to your ‘My Purchases’ page and leave helpful feedback on the resources you’ve purchased to earn TPT credits toward next time! It's also helpful to me when you leave feedback and I always appreciate it! Your valuable feedback enables me to create the resources you want and need for your classroom.